Twitter may have not been originally designed to help teachers enhance their career development, but the micro-blogging social media site has really transformed the way some educators are connecting with students in the classroom today. Not only is it a more interactive approach when giving lessons for example, but it's also time-friendly—which is really important to teachers who spend most of their time preparing lesson plans and grading exams. That said, Twitter can be a really useful tool. To learn a few ways that you can utilize it, continue reading below. Follow Industry Leaders. Teachers should always keep learning, and one of the easy ways to keep track of news and trends pertaining to your particular field or just education in general is "follow" other industry leaders. You can use the search tool bar and use hashtags (#) with keywords to help you locate desired niches such as #edchat. But to help you get started, here are a few "handles" we suggest you follow to keep you in the loop: Inside Higher Tech, eCampusNews, and Cooperative Catalyst. Use as a Means for "Review." When outside of the classroom, Twitter can be used to remind students about upcoming exams and assignments. But it can also be a useful way to help students review the day's lesson and get a more thorough understanding of what was discussed. For example, you can tweet an in-depth question (which may or may not be on an upcoming exam) so that students can get a better idea of what important parts you wanted them to obtain from the lesson. You can also tweet links that direct them to sources that can help them answer the question. In turn, students can communicate with you or fellow students and propose their own questions or observations. So that you're not tweeting at 10 p.m. at night, make sure to give a time frame and say: "I will only answer tweets before 7 p.m." or something along those lines. 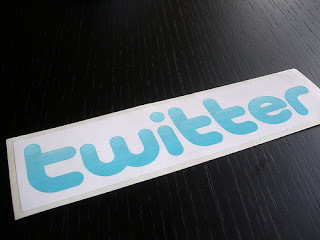 Incorporate Twitter into Lesson Plans.Last but not least, you can use Twitter directly in your lesson plans. A good friend of mine, who just happens to be a 9th grade English teacher, tries to use Twitter in order to help characters in various books come to life. Each student takes on a novel character and creates a handle, such as @Gatsby124. The student then "tweets" as if he or she is that character. They are required to use hashtags as well. Since students are limited to 140 characters, it also helps improve their writing because they're forced to write more concisely. Of course these are only a few ways that teachers can use Twitter to their advantage. Does anyone else have some great tips? (*) Nadia Jones is an education blogger for onlinecollege.org. She enjoys writing on topics of education reform, education news, and online learning platforms. Outside of the blogging world, Nadia volunteers her time at an after school program for a local middle school and plays pitcher for her adult softball team. She welcomes your comments and questions at nadia.jones5@gamail.com.